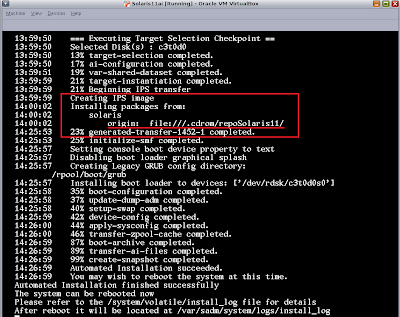 Following on my last entry about Solaris 11 Automated Install with no network (Standalone) I thought I would post this update saying that I have managed to get it working, well I have managed to create a new 6.7GB ISO which can boot a VirtualBox client and installs Solaris 11 with NO network I am not sure why it was failing last time, but since then I have reinstalled Solaris 11 and added another disk to my desktop. 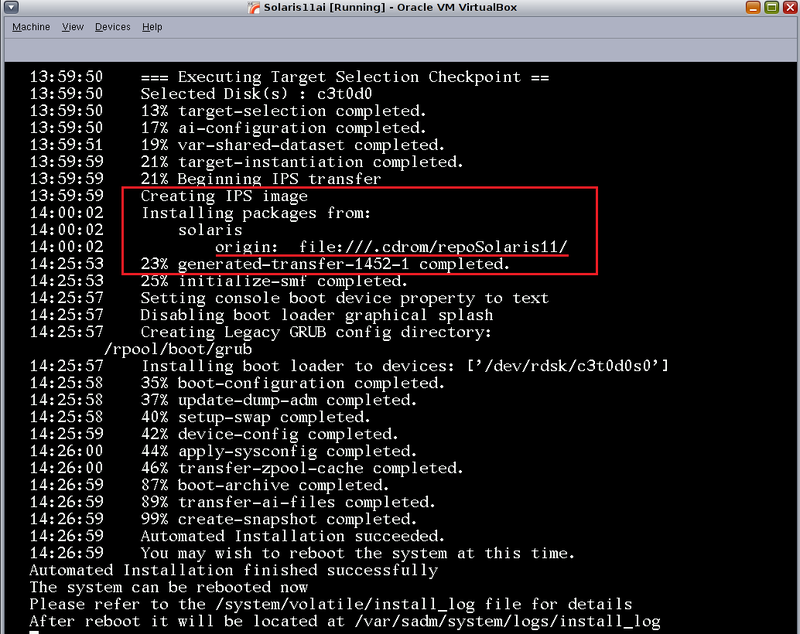 The above iso then was used to install Solaris 11 on VirtaulBox. Still can not get it onto a 8GB USB stick, so that will be the next step. Is usb bootable working now?